Its territory has now shrunk to a tiny pocket in Syria’s eastern Deir Ezzor province, with militants holed up in the village of Baghouz Al-Fawqani, near the Iraqi border. “The SDF has launched its final battle to eliminate the terrorist ISIS organization in Al-Baghouz village; the last ISIS stronghold,” the SDF said in a statement. 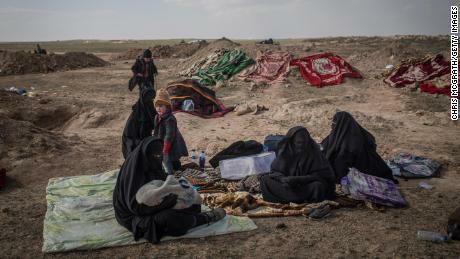 At least 500 ISIS fighters are believed to remain in the village, thought to be a concentration of ISIS’ most experienced and battle-hardened fighters and commanders. US President Donald Trump suggested last Wednesday that ISIS’s defeat was imminent, adding that a formal announcement declaring “100% of the caliphate” retaken would be made sometime in the coming week. The President’s remarks to the ministerial meeting of the Global Coalition to Defeat ISIS largely glossed over his decision to withdraw US troops from Syria, the conditions and logistics of which are still under negotiation. A Pentagon report released earlier this month indicated that ISIS would likely regain territory within six to 12 months as a result of Trump’s decision to pull out from Syria. A US official told CNN that resurgence could happen even sooner without the US counterterrorism presence. At the group’s height, 7.7 million people were estimated to live under ISIS’ rule, according to Operation Inherent Resolve (CJTF-OIR), the official name for the coalition fighting ISIS. Many of those people paid the group taxes, fees and fines, which made up a large portion of ISIS’ income. In the years since, the group’s annual revenue has more than halved: from up to $1.9b in 2014 to a maximum of $870m in 2016, according to a recent report by the International Centre for the Study of Radicalisation and Political Violence (ICSR) at King’s College London.